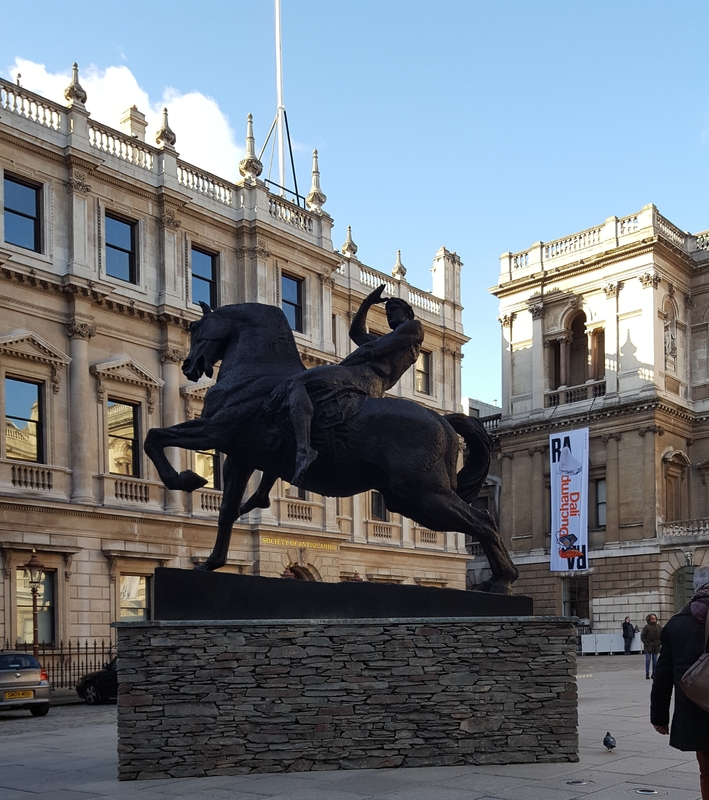 Enjoyed a busy weekend which included a trip to London and a sunny and cold walk on Sunday. The decision was made. Go to London for a day trip, but what to do? 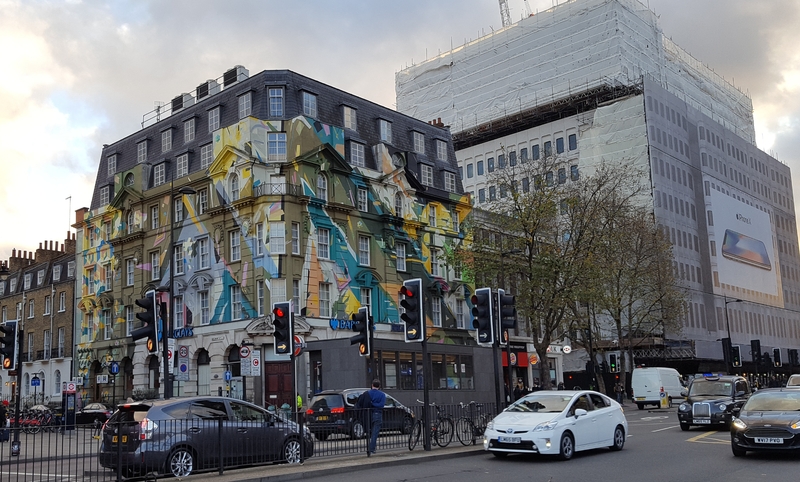 The website https://www.timeout.com/london is an excellent source of inspiration and I soon spotted an art exhibition that will interest us… Dali Duchamp at the Royal Academy of Arts. 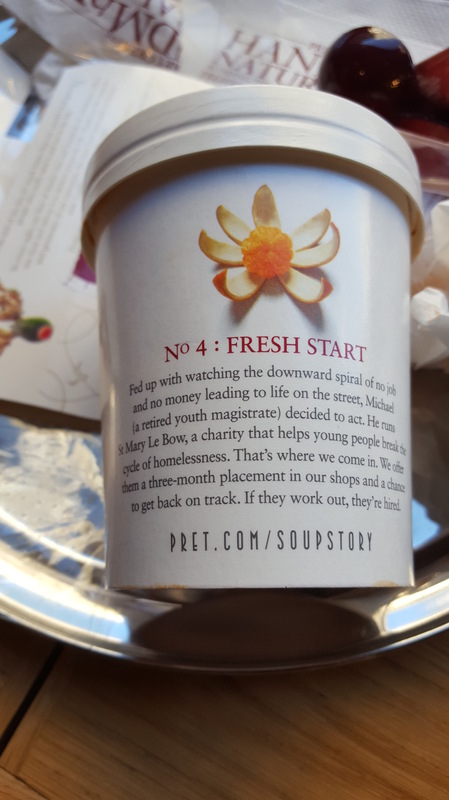 After suffering the train journey which was expensive, late and crowded, a soup and sandwich had to be consumed in Pret. Ok, I’m well aware the skeptical could go on about a marketing ploy, but I love the way they care and don’t waste food at the end of the day. See the pics at the end of this post! 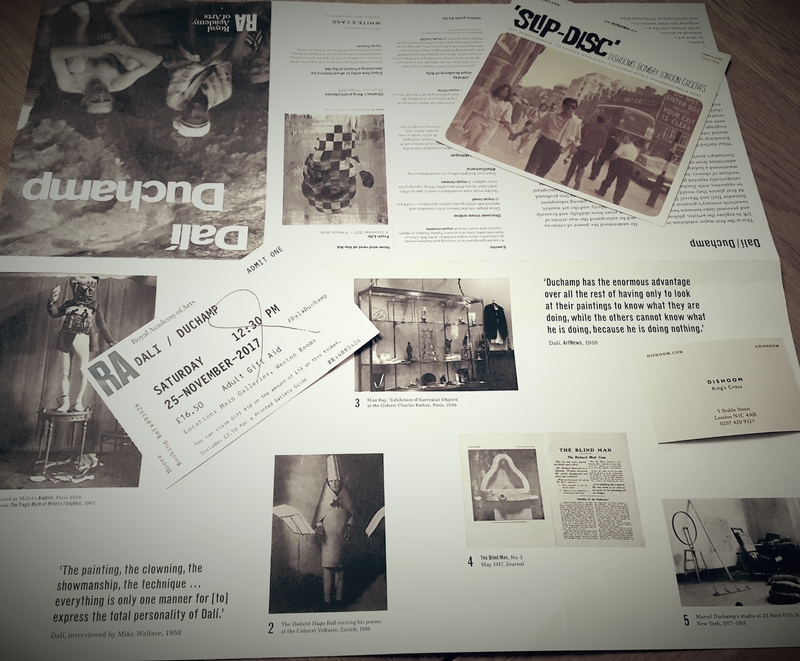 After relaxing with my warming soup and sandwich, we ventured forth to the exhibition which was very interesting and informative on a variety of art movements (Dada, Surrealism, Readymade, The Surrealist Object, Eroticism and Paranoiac-Critical Theory). My only complaint was that it only kept us quiet for about two hours and unlike other exhibitions you pay for, there weren’t any free exhibitions in the same facility. Never mind, it was a magnificent glimpse into the legendary Dali and included paintings, drawings, book illustrations, prints, sculpture, photographs and historical film. You can submerge yourself in their subversive work and satisfy your curiosity about Dali’s friendship with Duchamp. Salvador Dali and Marcel Duchamp maintained a bond of mutual admiration despite having different artistic endeavours. Ultimately, it is clear, from this fascinating display of their work, that they shared absurdity and cynicism which subsequently led them to challenge conventional art. Duchamp’s legacy was often hailed as the father of conceptual art and his friendship with Dali, who was flamboyant and dramatic, puzzled Duchamp’s admirers. However, upon examining the juxtaposition of their work, you can see common ground because of their experimental and philosophical associations. Both are quite bizarre but absolutely fascinating. Highly recommended. 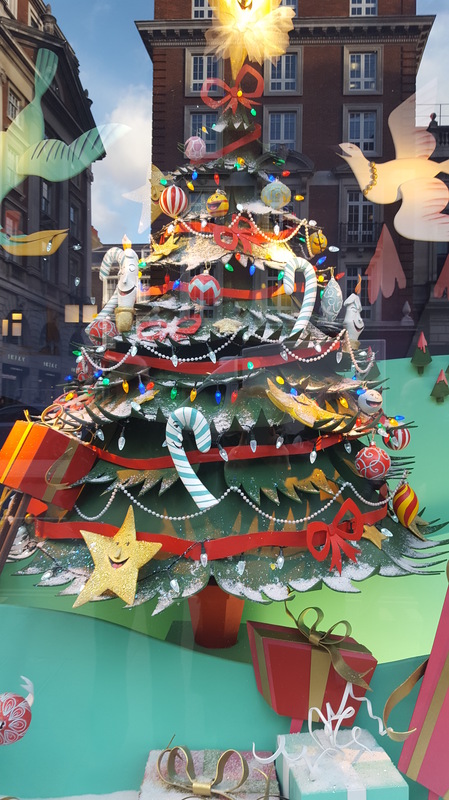 Afterwards, we wandered over the road towards Fortnum and Mason to gaze at the glorious, colourful window displays. Then, of course, I could not resist a look around the store. It was packed full of shoppers, mingling amongst the impressive Christmas decorations. Good grief, bit early, isn’t it? Not even December yet. They do this, in case you are wondering, because everybody shops in November now, to miss the crowds (hahaha). If you go up the magnificent staircase, you can visit the cook shop, ladies department and the posh men’s accessories too. Lots and lots of leather. The food hall is downstairs where you can by miniature bananas and other stupid things, normal people don’t want. The glamour and grandeur may be over the top, but it is London and amusing to visit. Upon arrival at Kings Cross we popped in a pub called The Betjeman Arms for a quick glass of Beavertown IPA. Delicious! 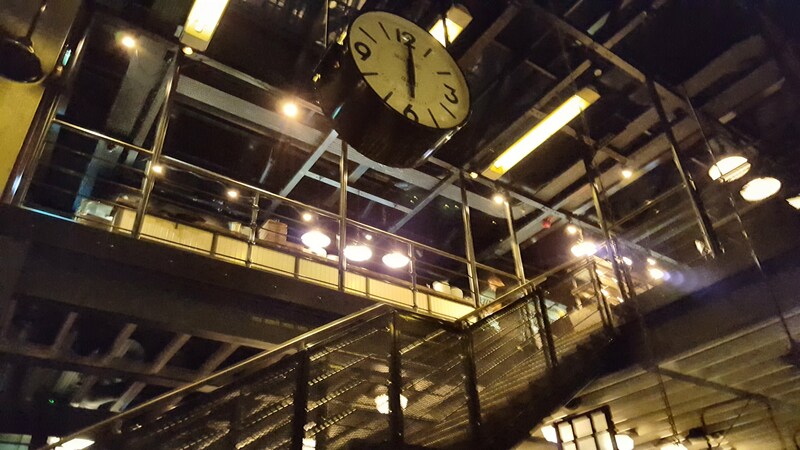 We sat outside overlooking the amazing arches of St Pancras. Yes, there was heating, thank goodness and it was a relief to sit down. Next time, we will go to London during the week. What was I thinking? Next stop, was Kings Cross for the curry. 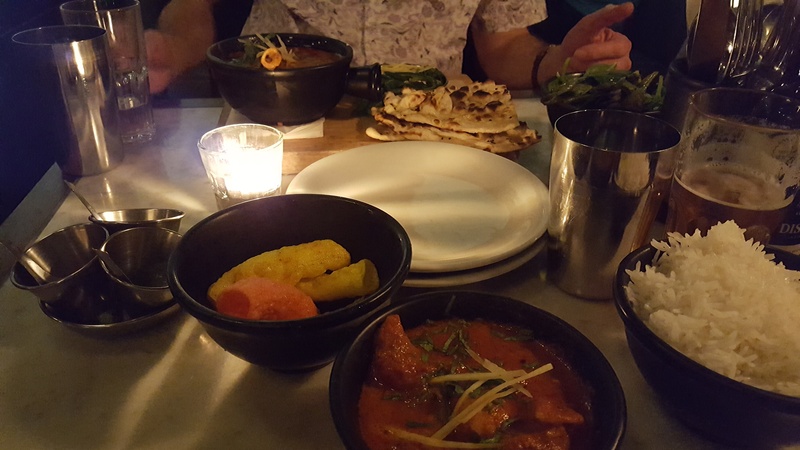 Although not a big curry fan, I had heard about the restaurant, Dishoom, and wanted to visit. 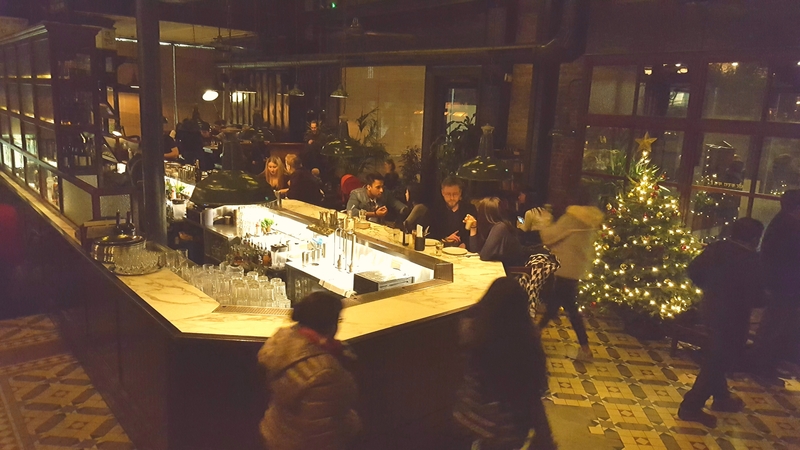 The restaurant at Kings Cross, was featured on Tricks of the Restaurant Trade, Channel 4, UK. We arrived at about 4.30 pm and it was packed. There was me thinking the place will be empty! Nobody eats curry at that time, right? Wrong! “THE OLD IRANI CAFÉS of Bombay have almost all disappeared. Their faded elegance welcomed all: rich businessmen, sweaty taxi-wallas and courting couples. Fans turned slowly. Bentwood chairs were reflected in stained mirrors, next to sepia family portraits. Students had breakfast. Families dined. Lawyers read briefs. Writers found their characters. So the food is traditional curry and encapsulates quality food without fuss. 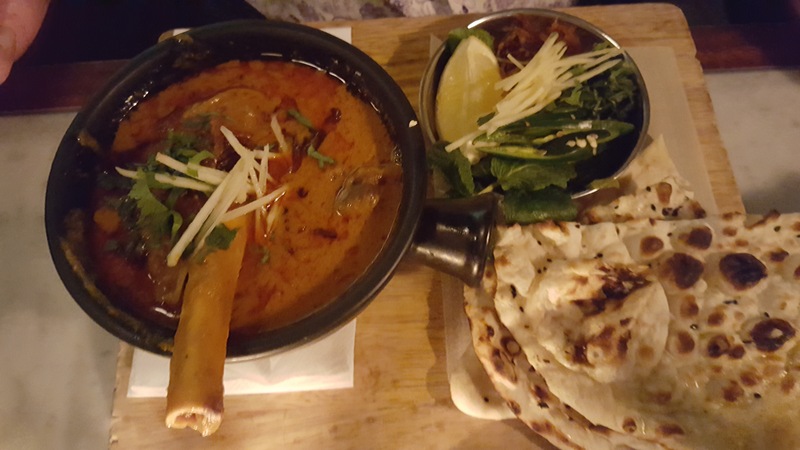 The service was excellent as the waitress skilfully guided us through the menu which was useful because it is quite different from your usual curry establishment. Again, I can recommend this immersive experience. Be warned though, it is very popular. As we left we passed a long queue outside! Everyone must have been freezing. Overall, a great day out viewing superb art, shopping (although I didn’t buy anything), eating and drinking. Oh, the beer was good too! Dishoom IPA, oh yes.